Whether good or bad, design is everywhere we look! From the moment we wake we are being exposed to and influenced by design of some sort. Be it the clothes we choose to wear that day to the branding on our cereal packaging someone has thought about ‘what goes where’ and more importantly the message it portrays to the audience. For this reason alone, it is vital that design is thought about and prioritised correctly when promoting either yourself or your business. Concept precedes design. Designing without a concept is not design, it’s decoration! This goes for everything you design, understand what the end goal is before you start designing. Who are you trying to attract, what message are you trying to deliver, where is the design going to be seen and used. Once you understand and have answers for these questions the creative process can begin. We recommended that you proportion a third of your marketing campaigns budget towards design when looking to advertise a company, project or sale to the viewer. After all, it is the most important part of the process, the design is what gets your attention drawing you into the details. Neglect time and effort at this stage and even the most appetising message won’t be given a second thought. It’s your reputation on the line! You work hard on your business so don’t let yours or your company’s reputation down with sloppy design. Every leaflet you post or website you direct a client to is a representation of you and the level of service you provide so don’t fall at this hurdle. In many instances, a client’s first impression of you will be decided entirely on the quality of the design you have produced. Whether it’s your website they are browsing, a leaflet they have been handed or advert they are viewing the design will play a key role in their decision to proceed to the next stage of the buying process or not. 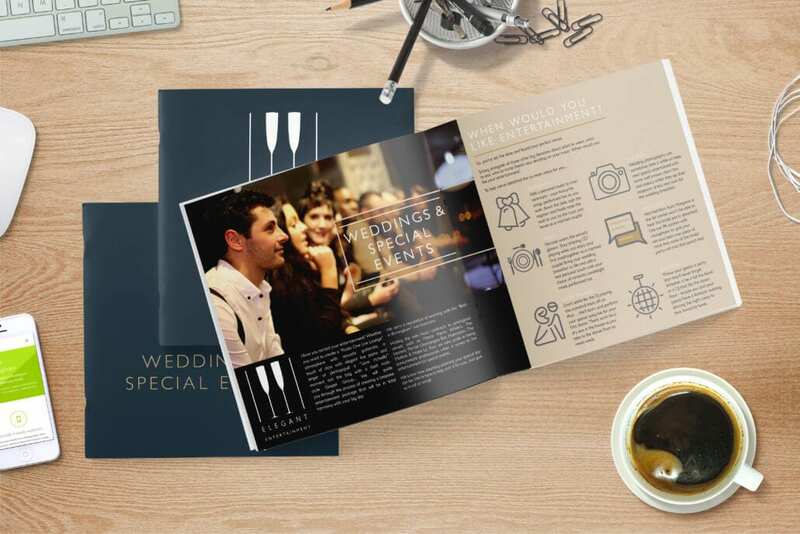 Equally, design plays a key role at the end of am meeting or project whether its the exchange of a business card or a brochure advertising other services it acts as a silent mirror to the quality you offer. Getting design done correctly will normally incur a cost, a cost that for some can be a step too far. ‘Get John in accounts to knock something up, he can use Photoshop right?’ Wrong! Don’t leave something of such importance to a novice as done incorrectly the results could be more damaging than positive resulting in more hard work to rectify the situation. After all, most of us own a pair of scissors but do we cut our own hair? Probably not. Why? Because we leave it to the professionals, enough said. Whether helping to arm a new business with an awesome corporate identity or an established company looking for a design overhaul on their website Nettl can help. Catering for a wide range of budgets there is an option for all, why not book a free consultation to see how we could help you? https://www.nettl.com/uk/wp-content/uploads/2016/07/bookletdesign.jpg 3000 4500 Nettl of Birmingham https://www.nettl.com/uk/wp-content/uploads/2018/04/nettl-header-logo-smallest.png Nettl of Birmingham2016-07-20 15:33:552016-07-20 15:38:19What's the big deal with design?